Based on the acclaimed anime film creator Yasuomi Umetsu, KITE stars legendary Academy Award Nominated Samuel L. Jackson. Set in the wake of the global financial crisis, one that has rendered the government an ineffective corrupt puppet state, the real power now lies in a massive organized crime ring, one that maintains absolute control through intimidation, bribery and murder. Fuelling the new global economy is an extensive international prostitution ring, where the majority of young women are sold into sexual slavery and leaving most citizens too terrified to resist. Taking a stand against this is Sawa (India Eisley), a young woman who, after the murder of her parents by Mafia hitmen, has sworn revenge on those who left her orphaned. Guiding her in this mission is Aker (Jackson), an aging police detective who raised Sawa and trained her to be a ruthless assassin, all while providing her with “Amp,” a powerful narcotic that allows her to forget the traumatic memory of her parent’s death. But, the closer she gets to the head of the crime syndicate, an elusive man known as The Emir, the more careless she becomes-leaving a trail of evidence and witnesses in her wake…making it harder for Aker to conceal her identity from his corrupt peers. Despite this recklessness, she excels at her mission until she teams up with a fellow vigilante, a mysterious man with a connection to her parents, who forces her to confront her most feared enemy: the past and those very memories she had hoped to forge. 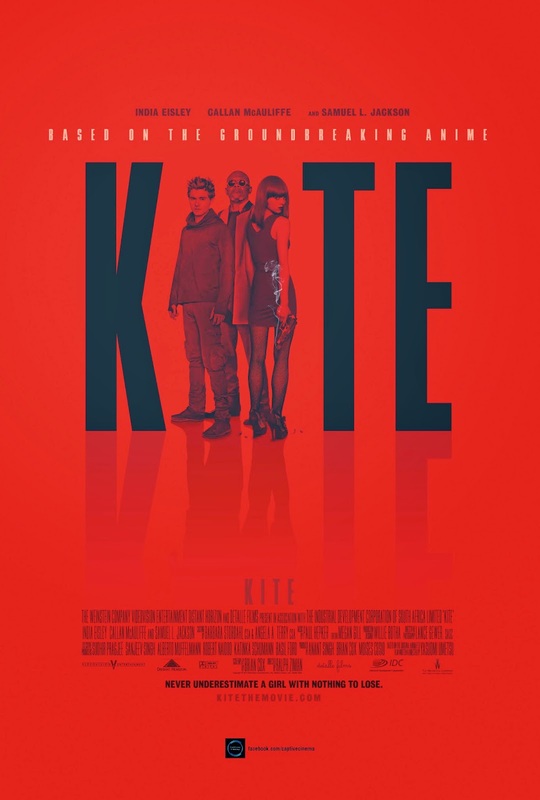 ‘KITE’ is released and distributed by Captive Cinema.